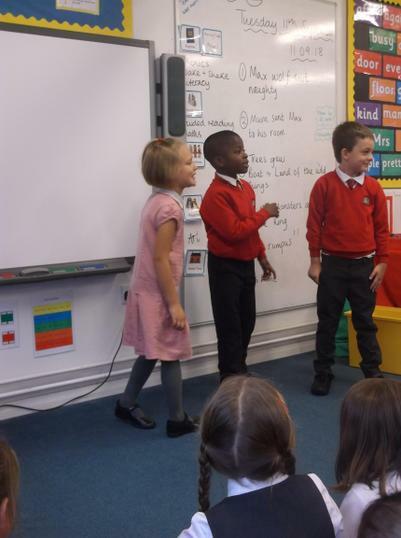 Mrs Kelly, Mrs Richmond and Mrs Roberts are our teachers. 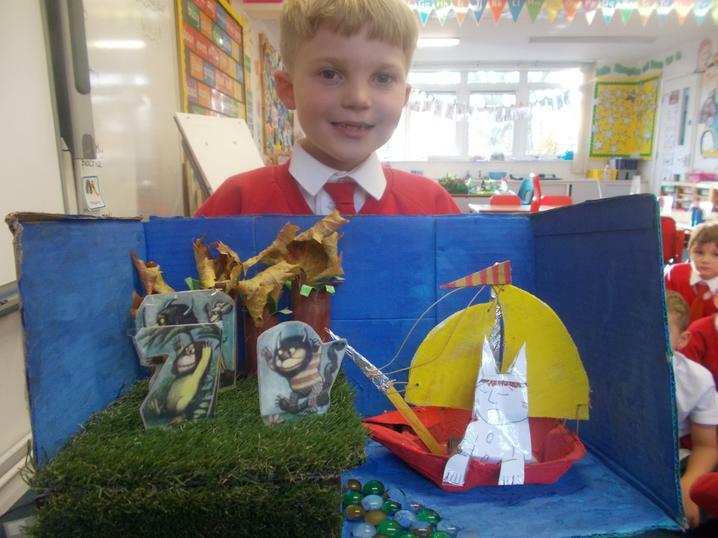 Where the Wild Things Are - creative homework projects! 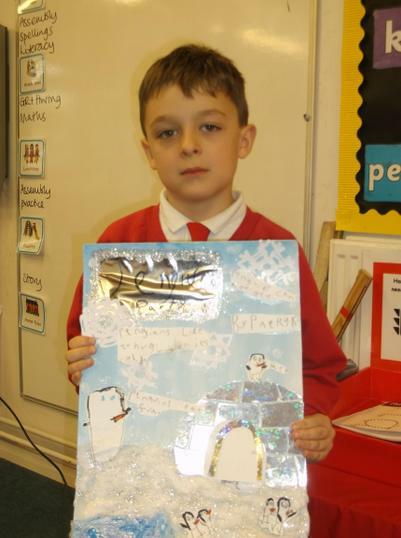 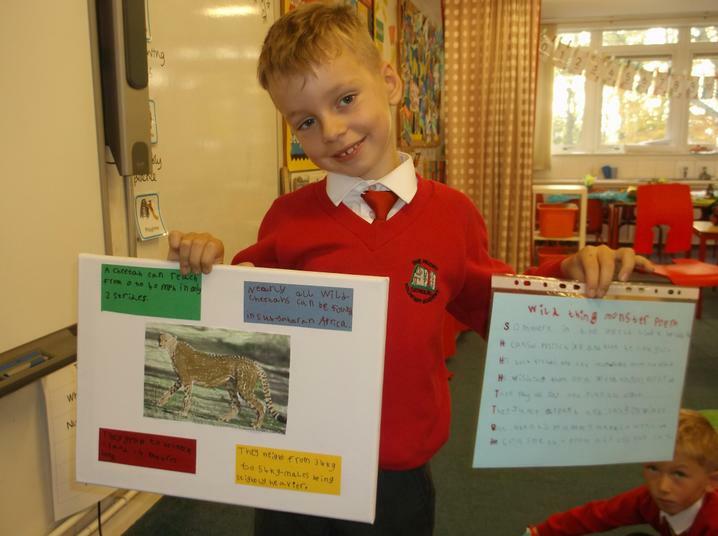 We are SO proud of our homework projects that we completed over the last half term. 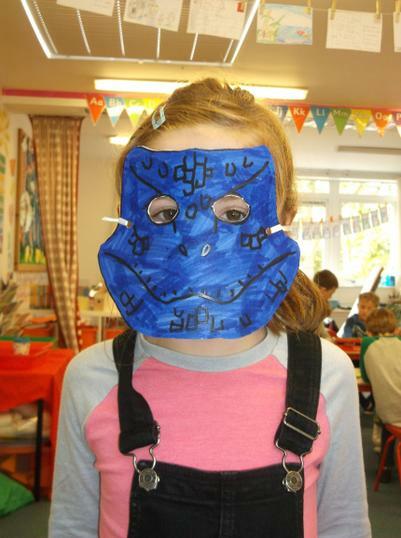 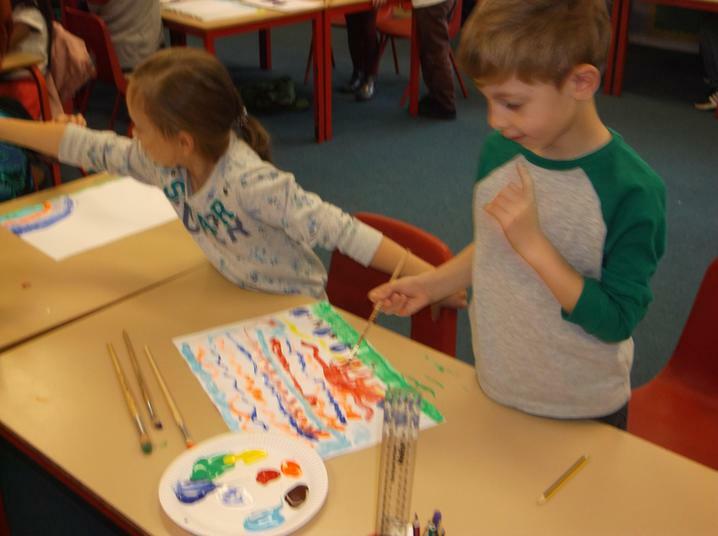 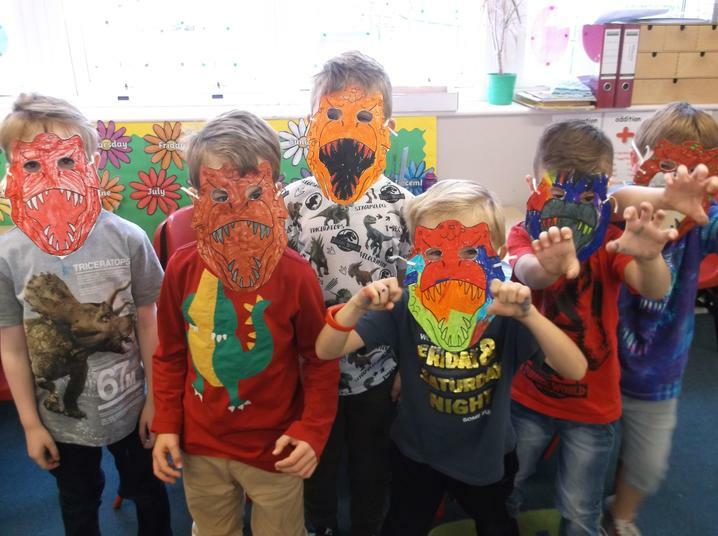 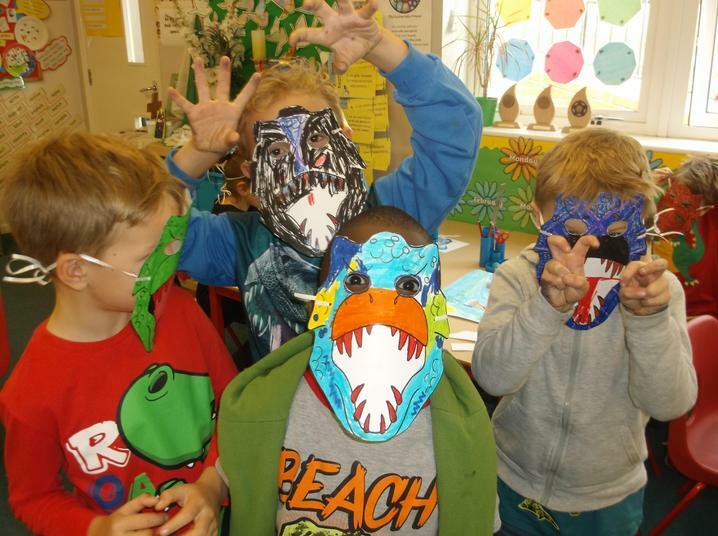 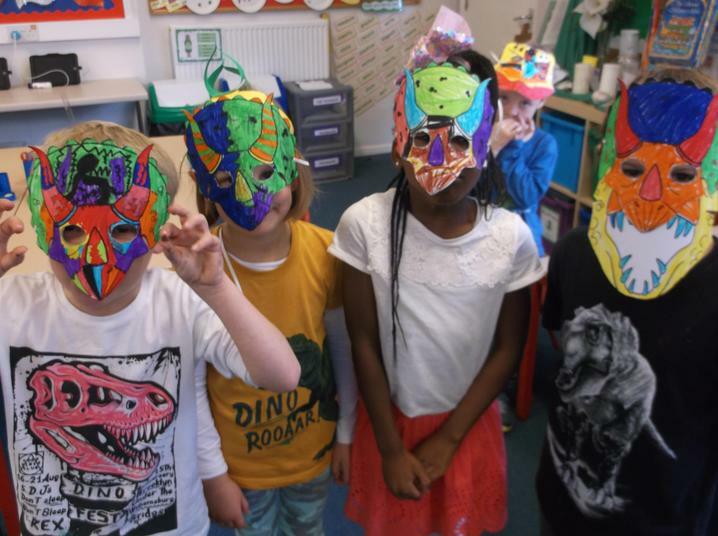 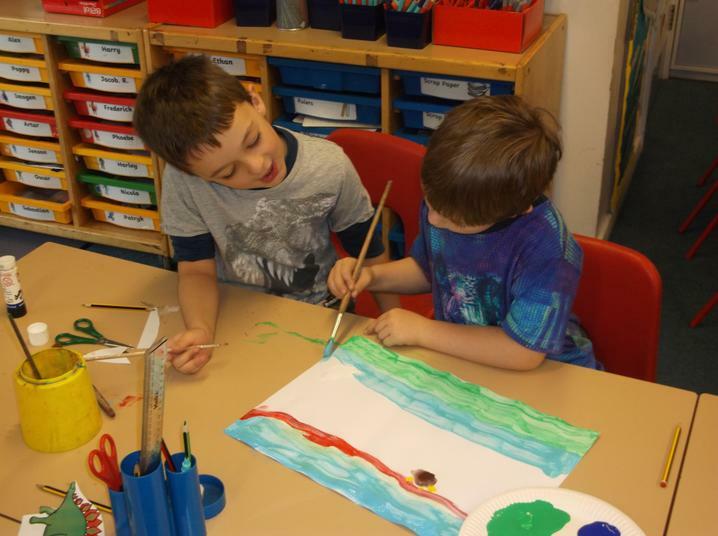 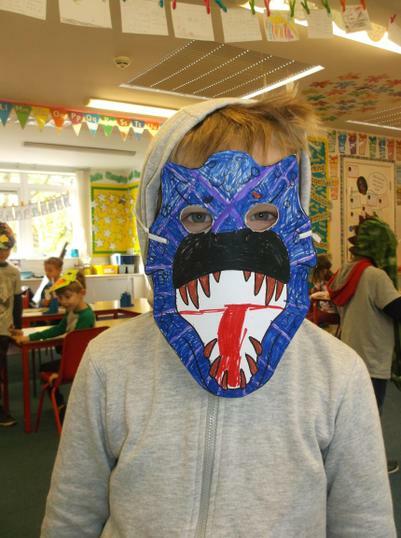 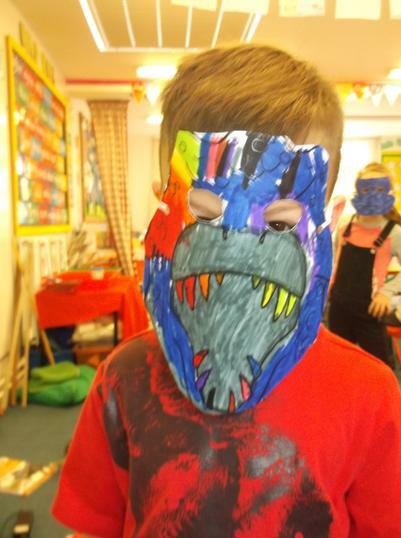 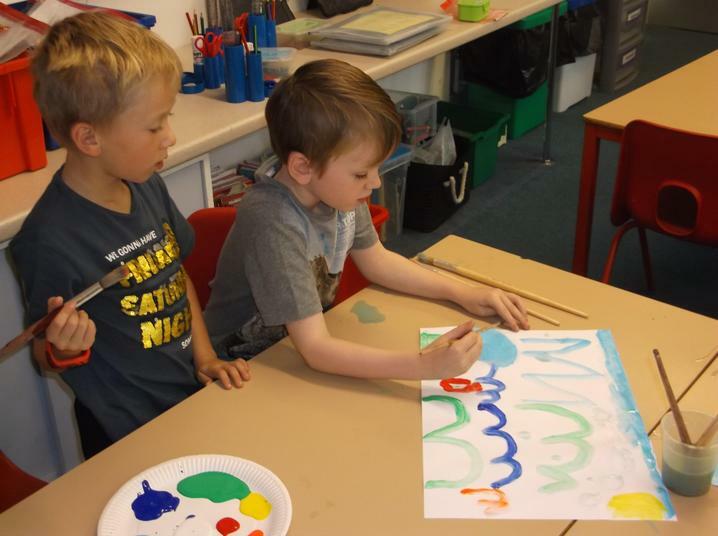 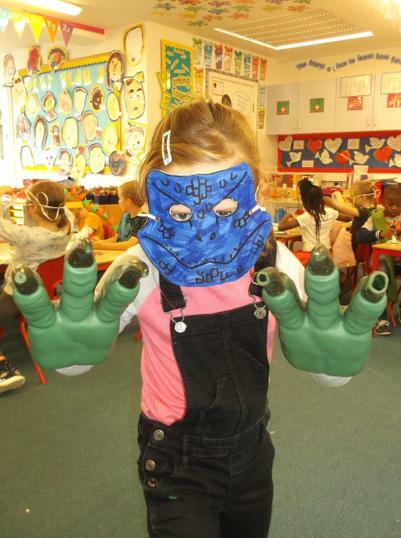 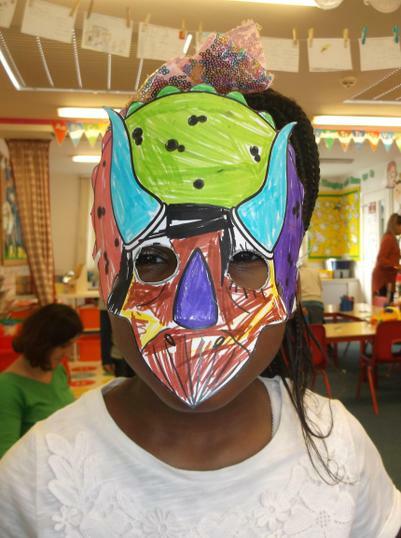 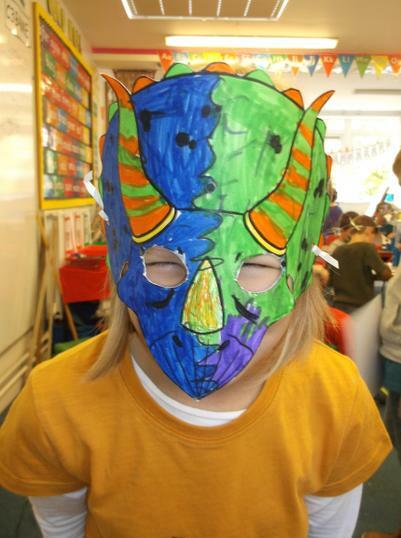 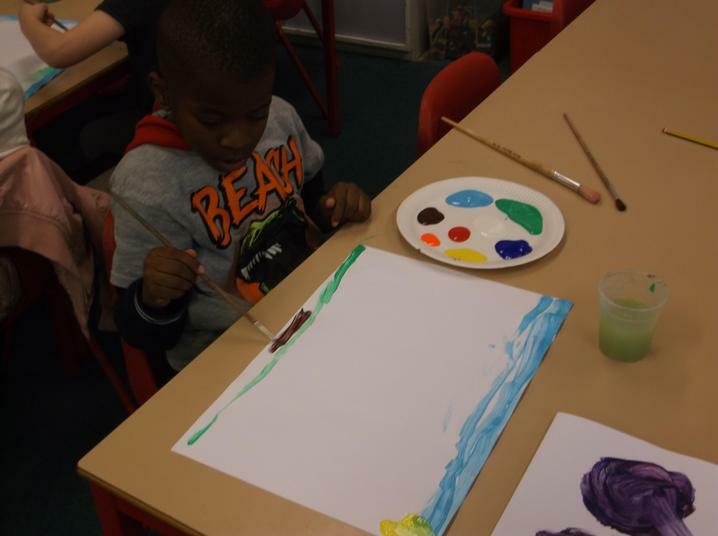 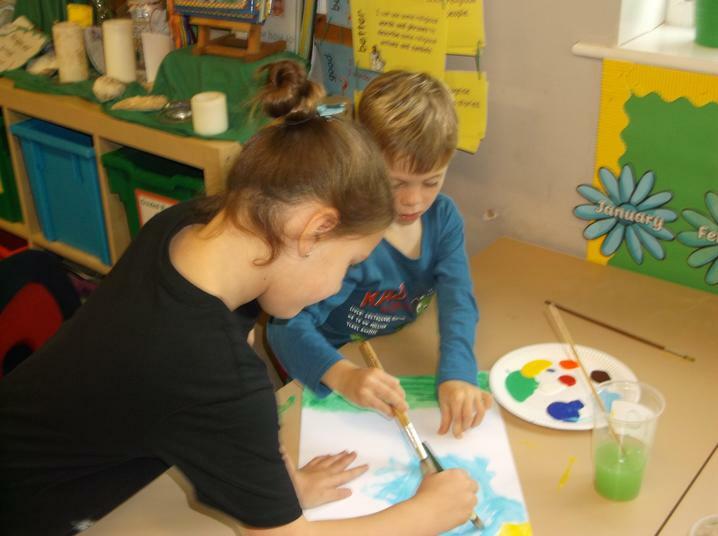 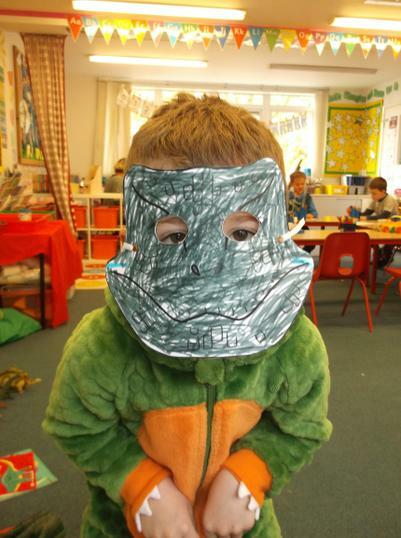 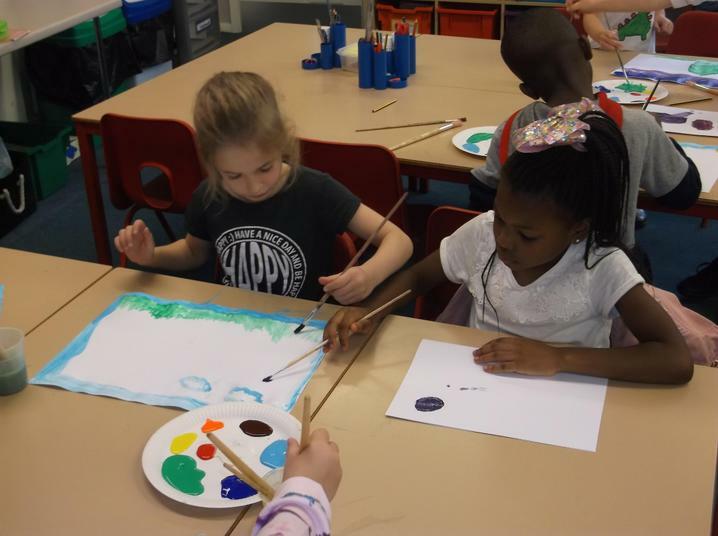 We based them on Where the Wild Things are and worked imaginatively with our families to produce some absolute masterpieces, which we have all thoroughly enjoyed looking at and showing. 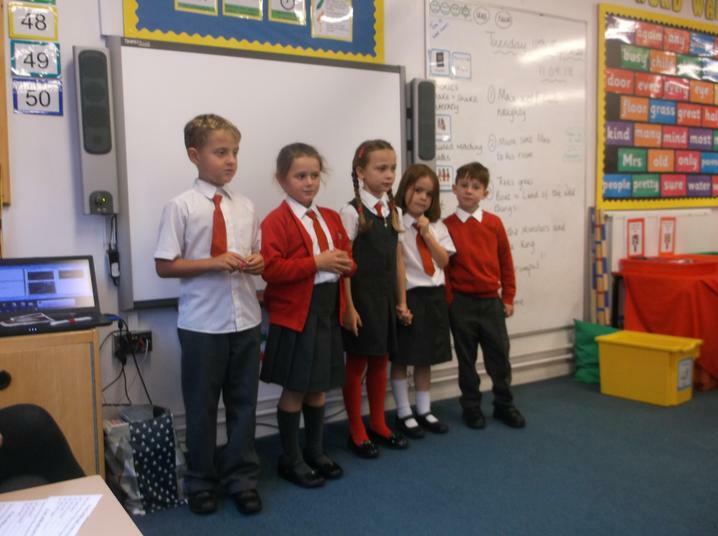 Well done everyone - you should be very proud of your achievements! 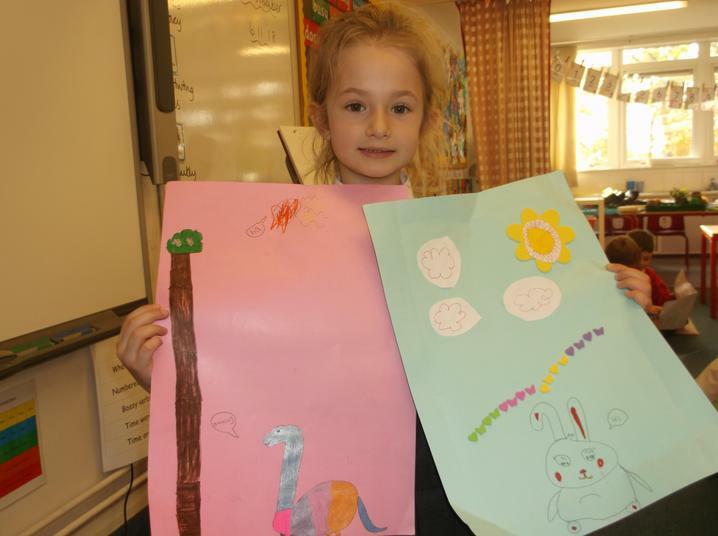 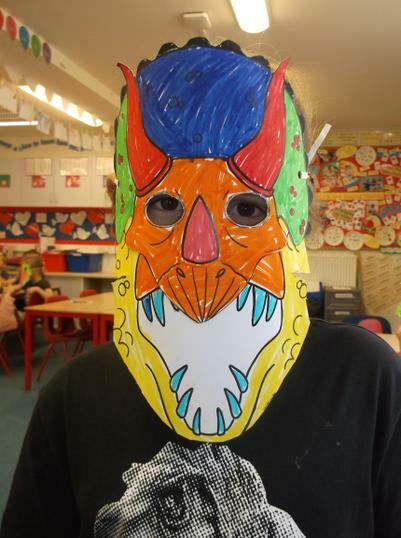 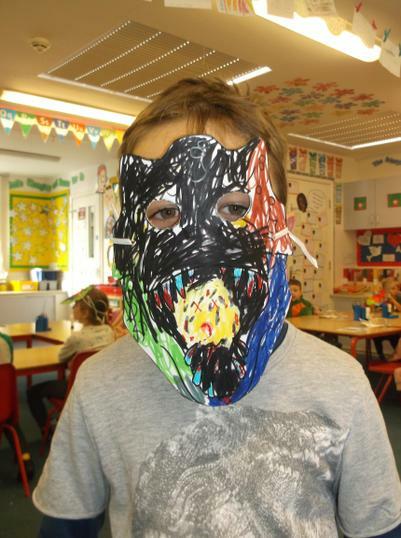 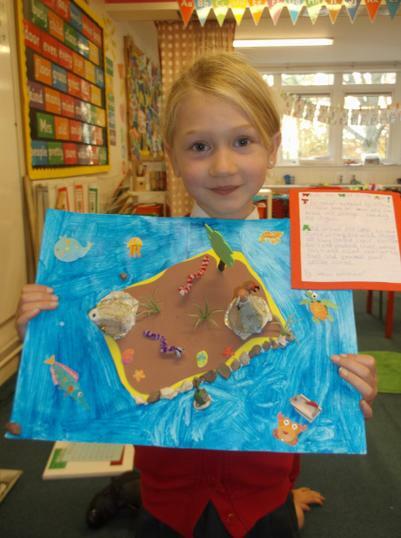 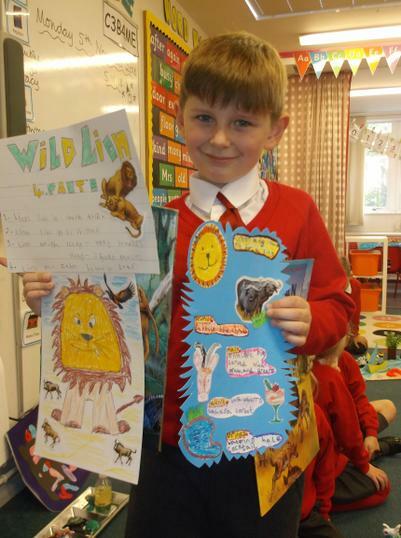 Check out our 'Where The Wild Things Are' homework projects! 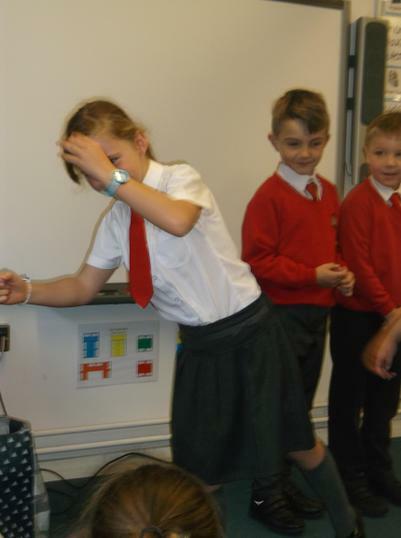 We all took part in the penalty shoot out today in the glorious sunshine! 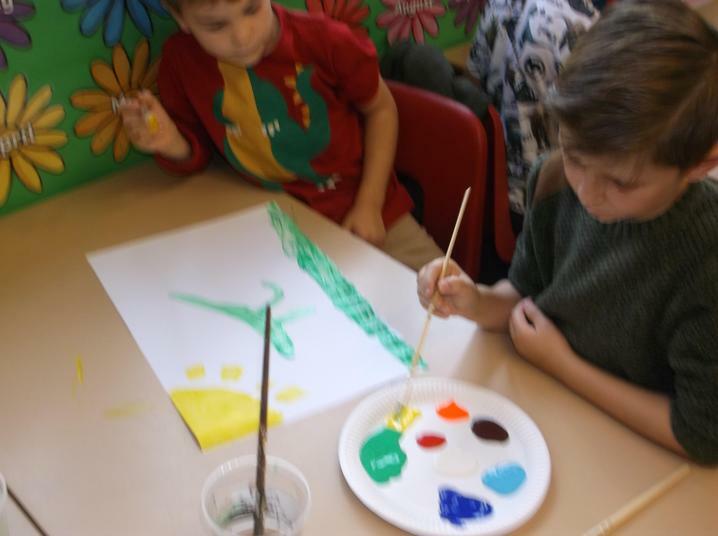 With the ladies from the PTA, we were raising money for our school timber trail. 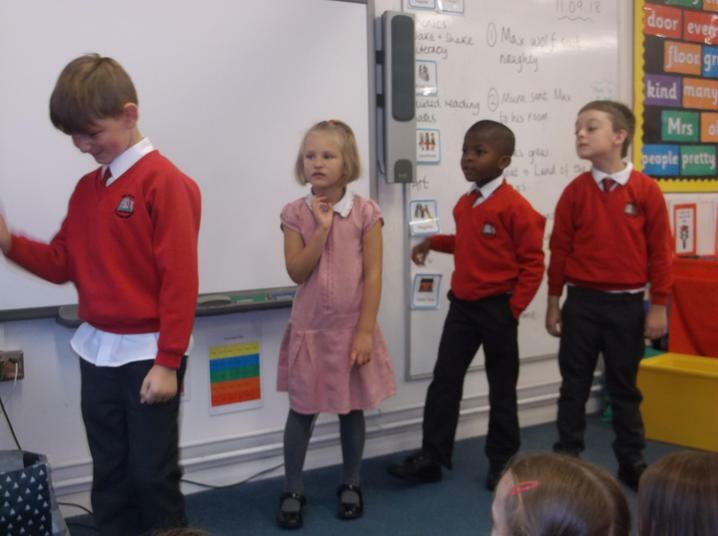 Check out the photos below to see us in action on an amazing autumnal day! 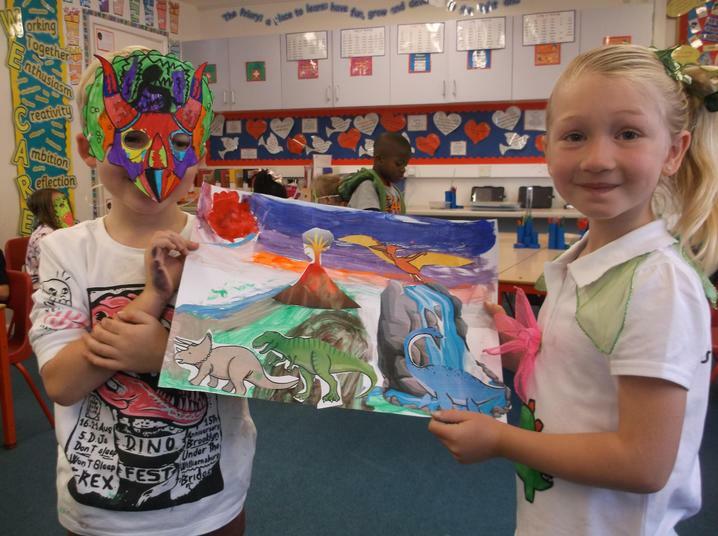 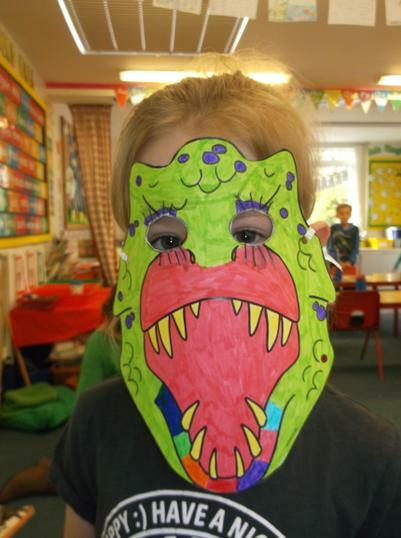 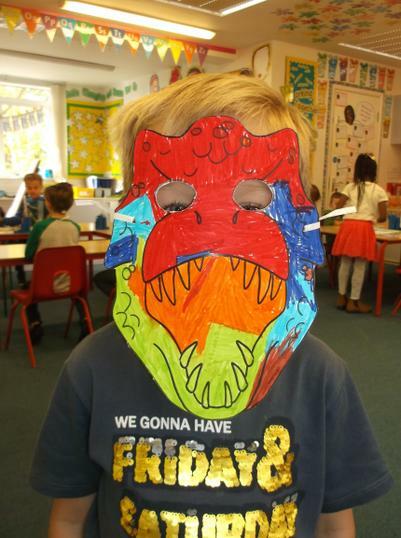 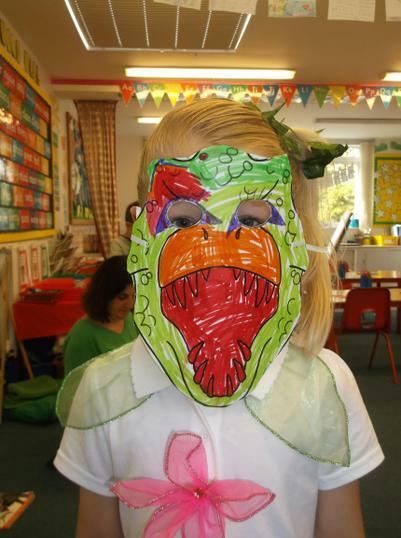 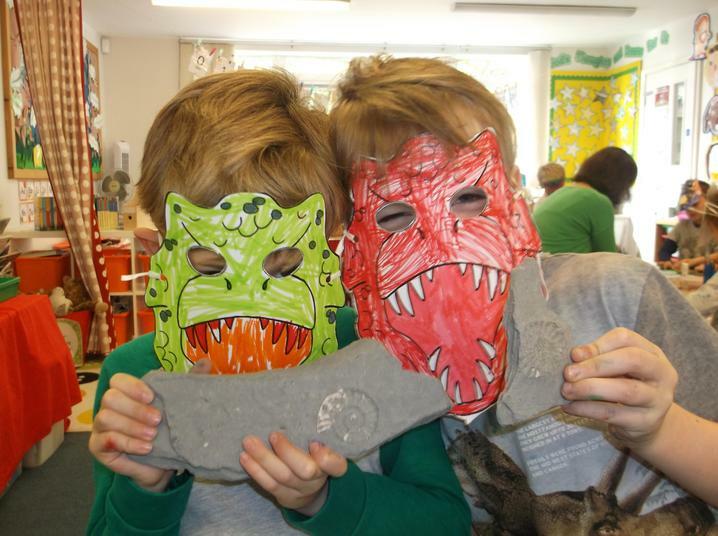 Dino Day in Year 2! 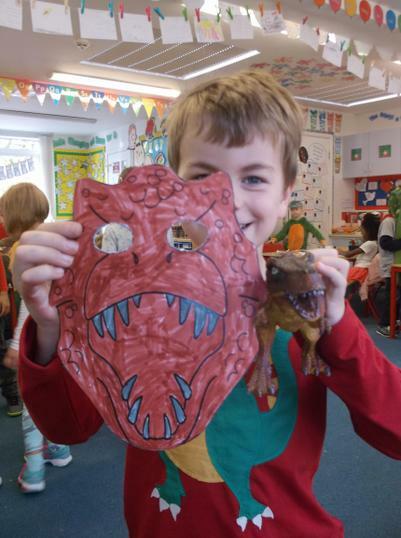 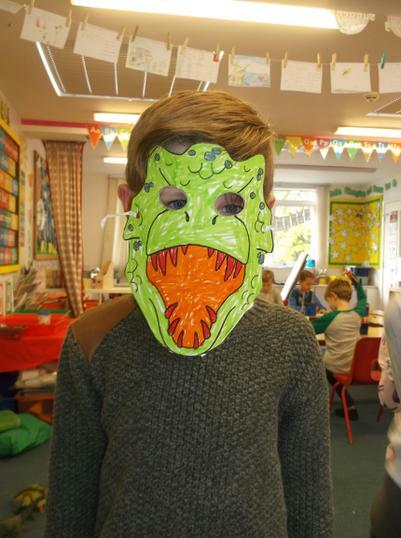 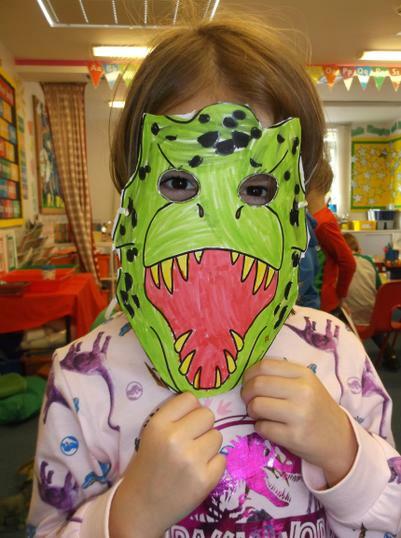 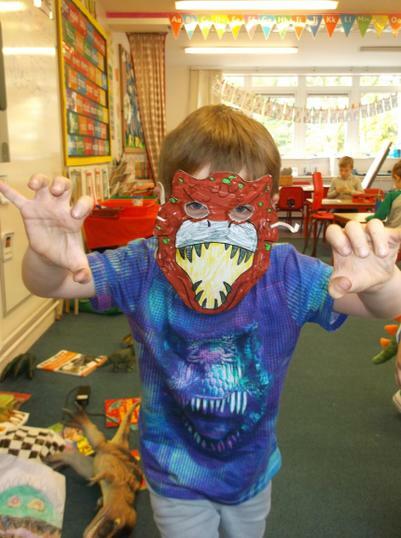 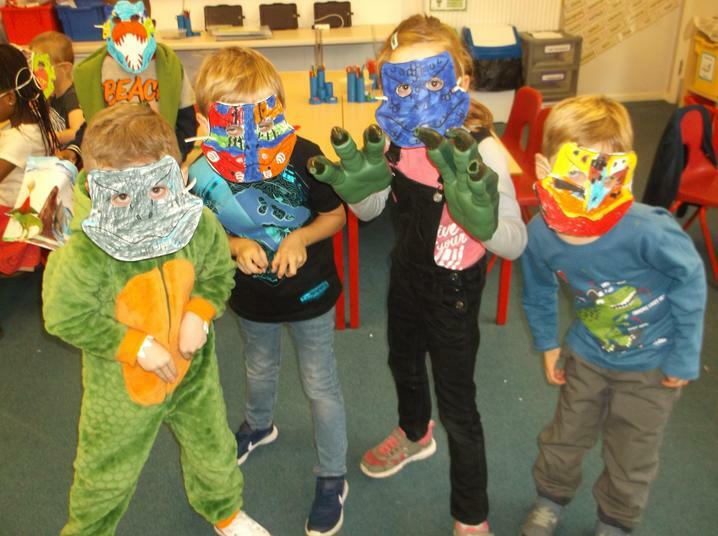 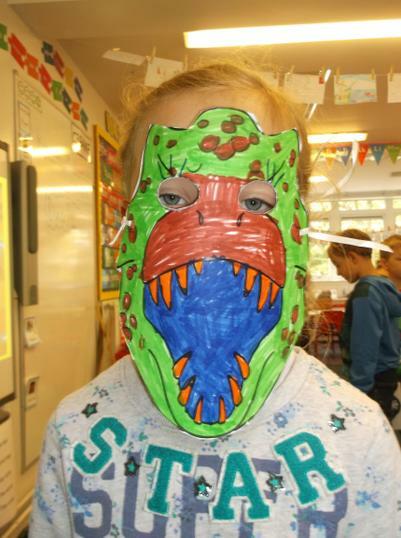 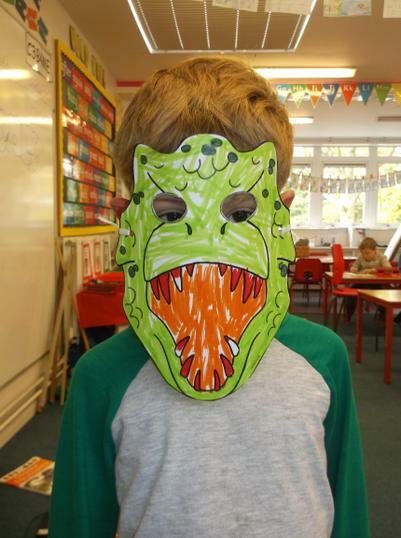 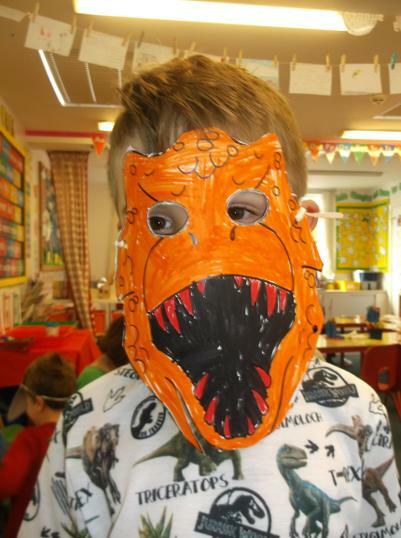 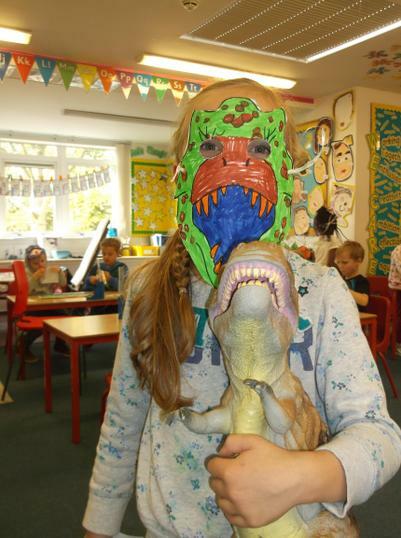 On Wednesday we had Dino Day in Year 2. 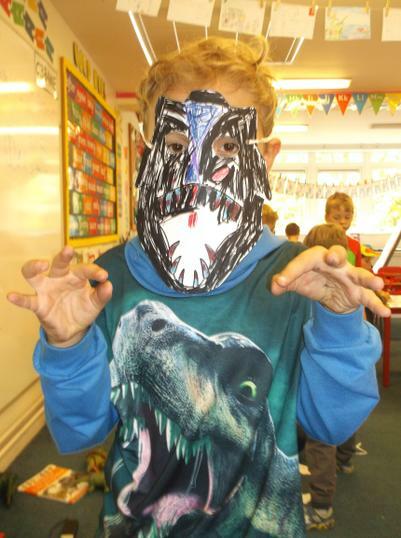 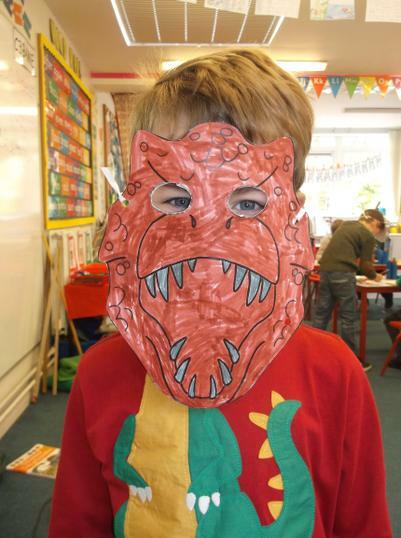 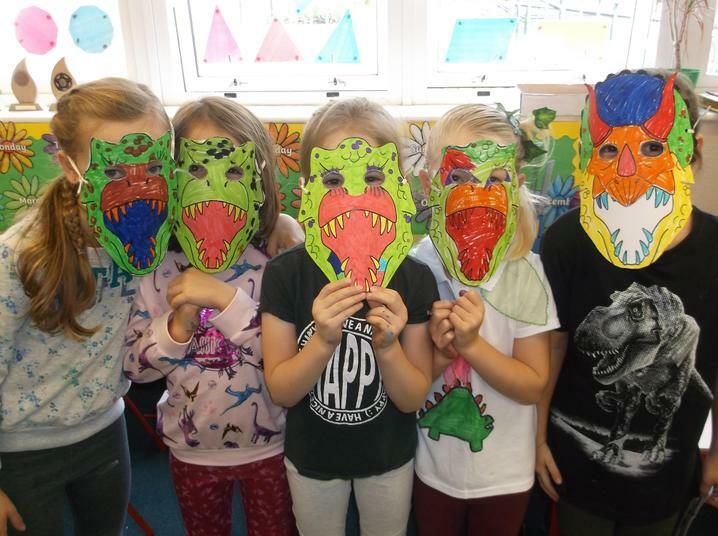 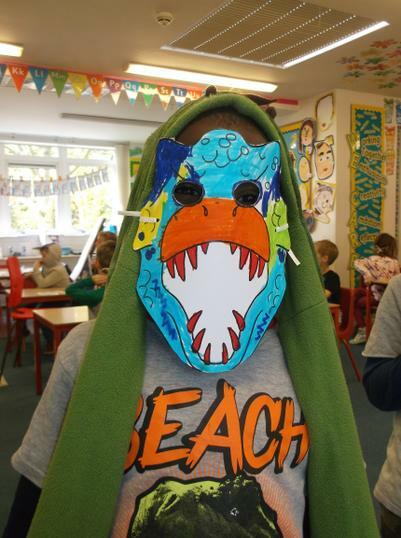 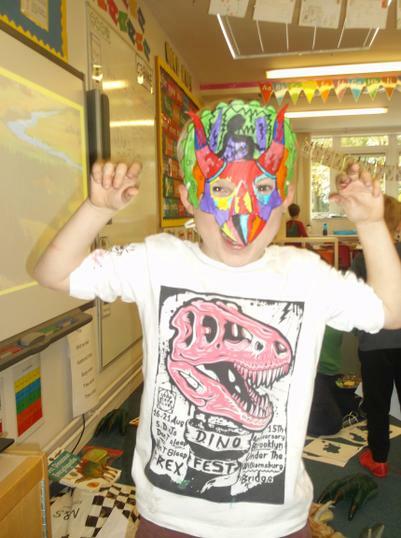 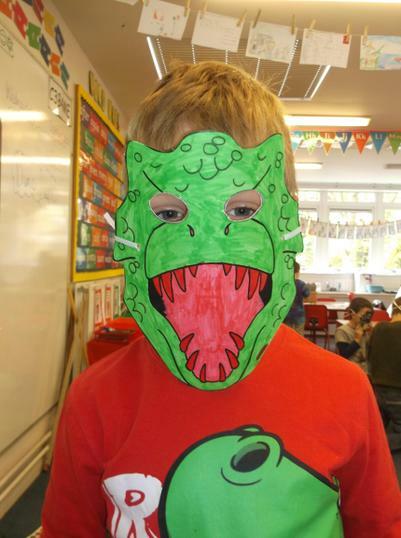 We all came to school wearing dinosaur t-shirts, dress up outfits or dinosaur colours. 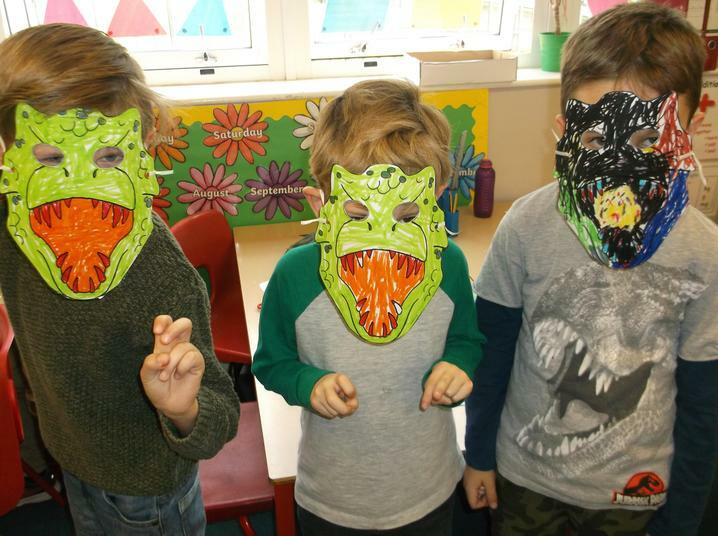 We learned all about who the dinosaurs were, how they lived and became extinct and how we know about their existence through fossils. 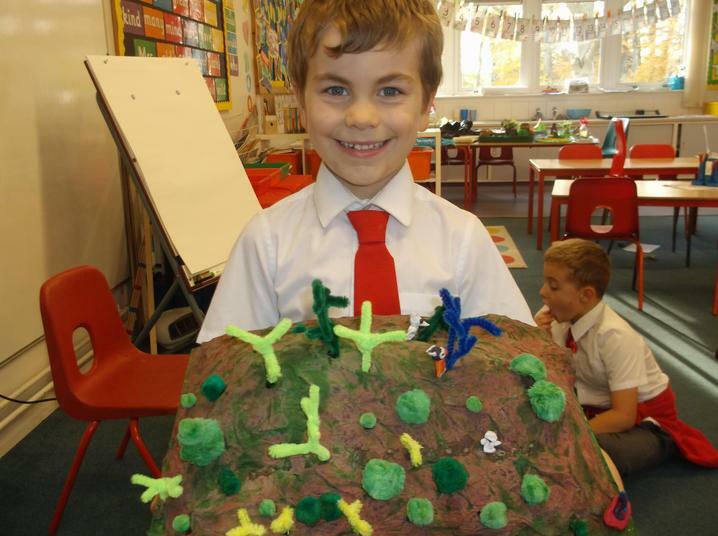 All of our Literacy and big writing work was dinosaur based and we created Dino landscapes, masks and salt dough fossils as well! 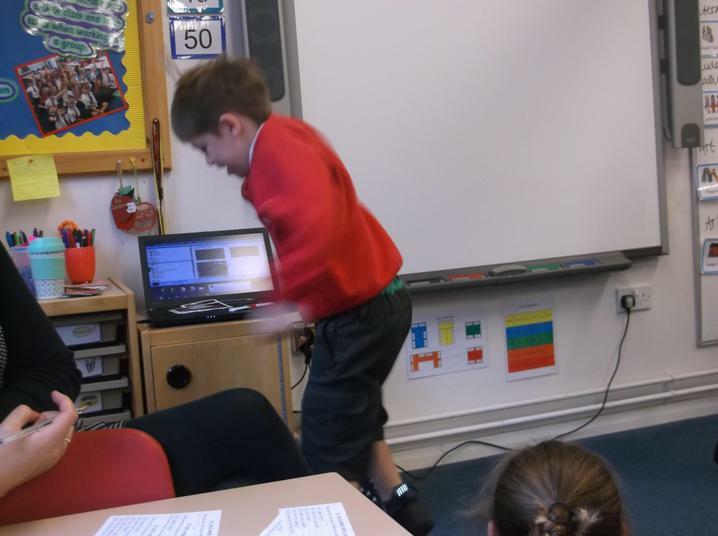 It was a very busy day, but we all had great fun and learned lots! 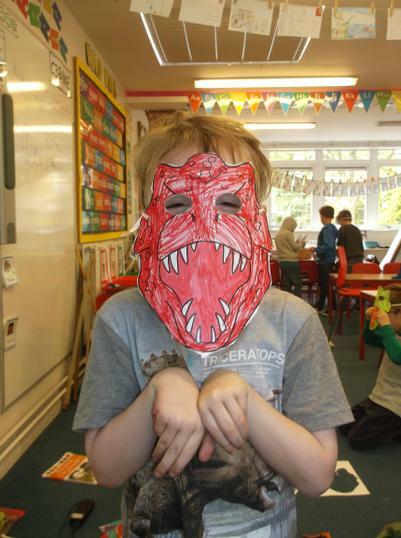 Check out the photographs below to see Dino Day in action! 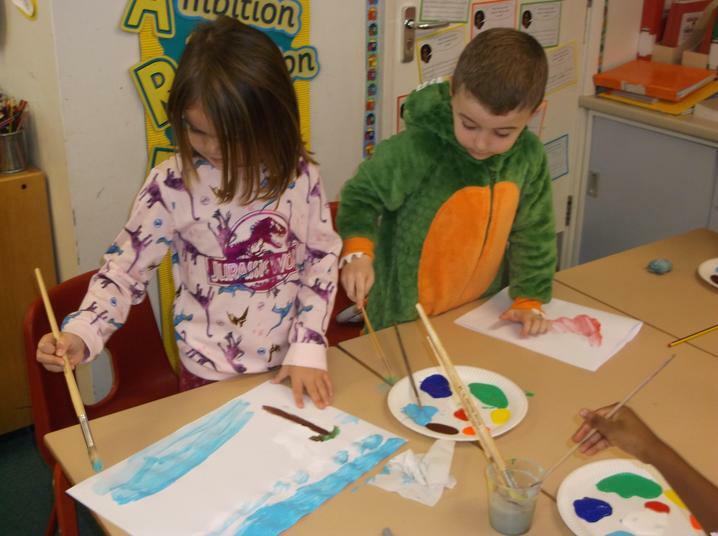 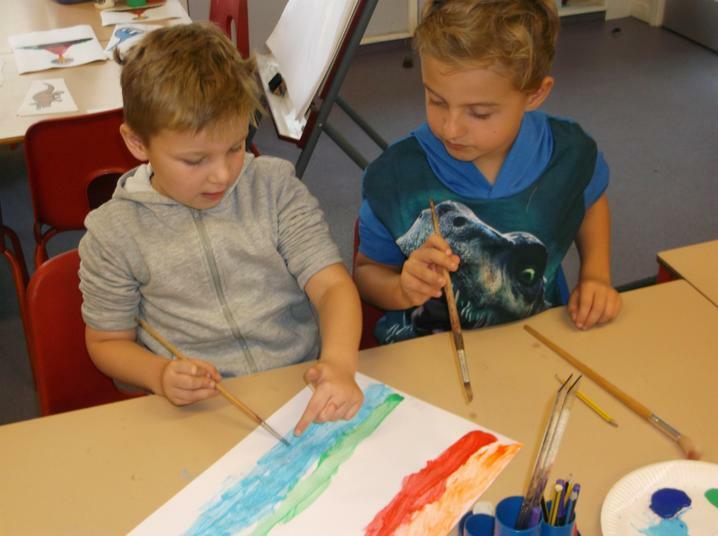 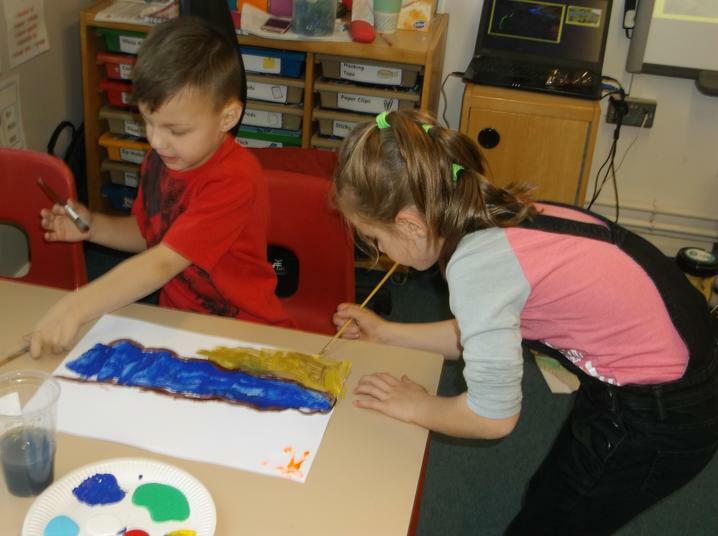 Painting Dino Landscapes with our partners. 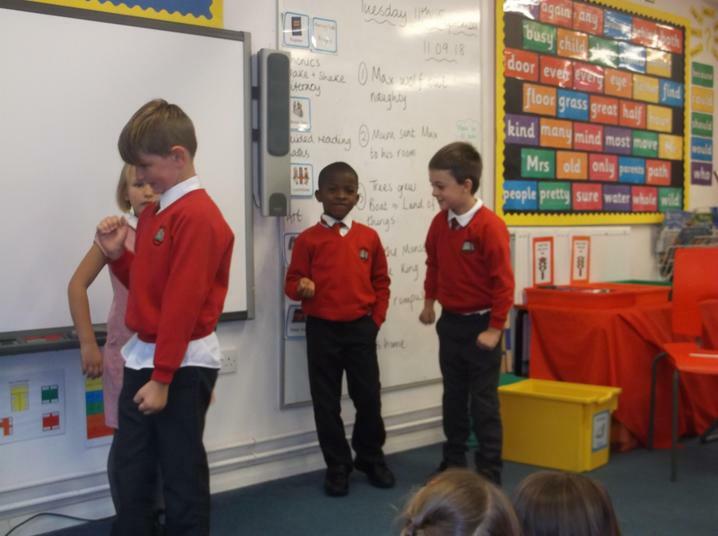 Signs and symbols in RE. 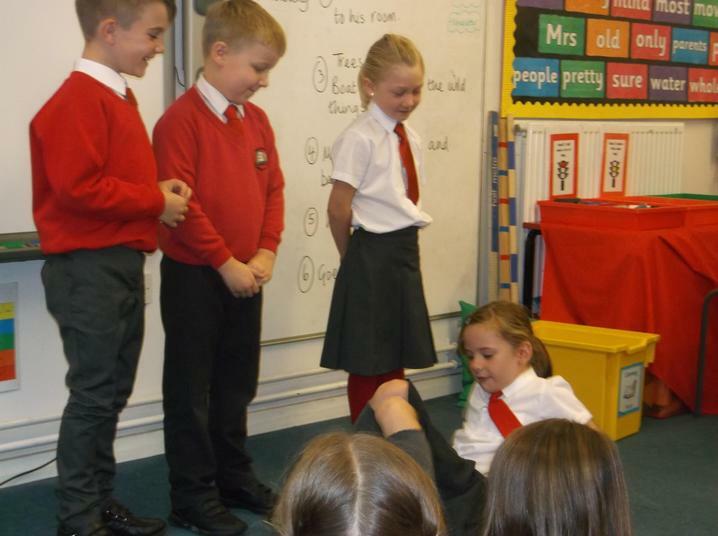 As part of our signs and symbols topic in RE, we have been learning about how people are welcomed into church for a Baptism. 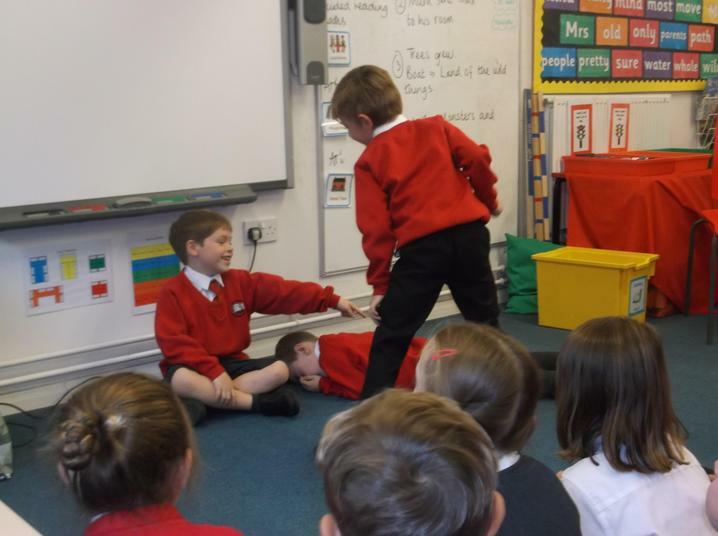 We acted out this process, using the words and actions of the families and the priest. 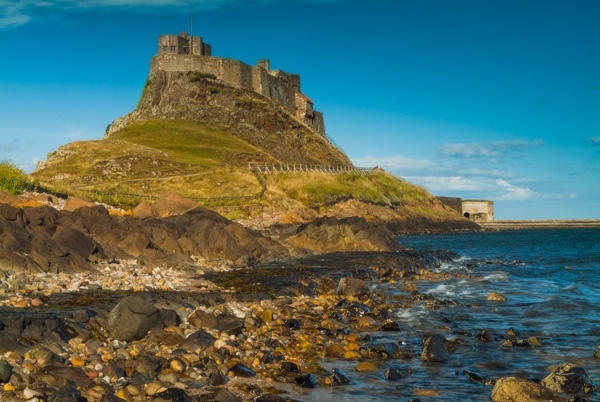 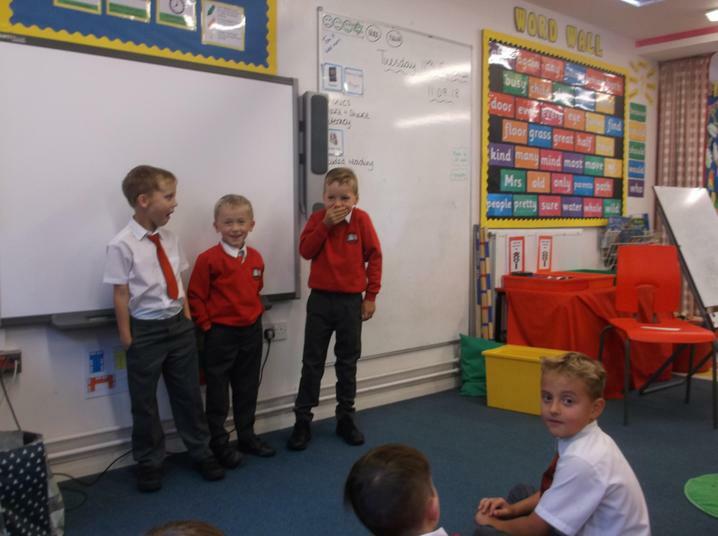 Check out our photographs below to see what we've been doing. 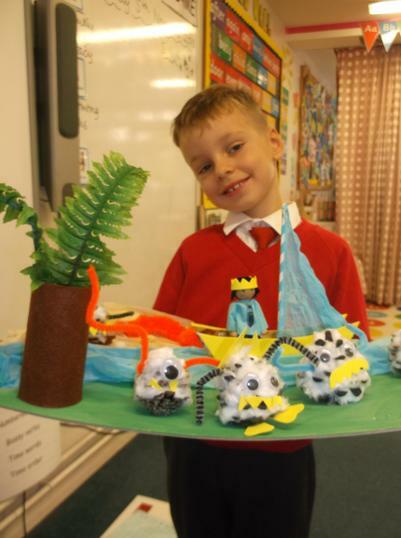 We have spent a few weeks reading the story of Where the Wild things are by Maurice Sendak. 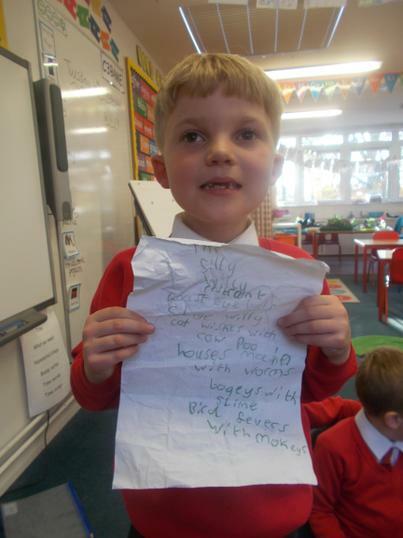 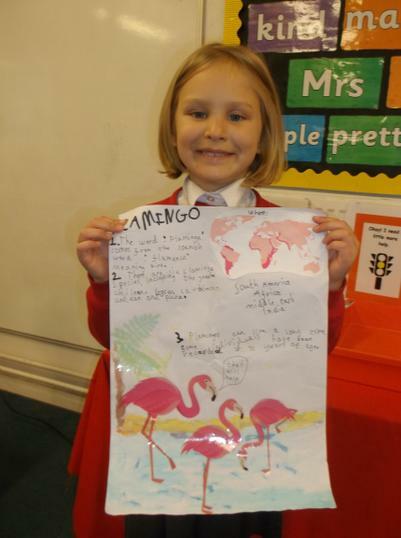 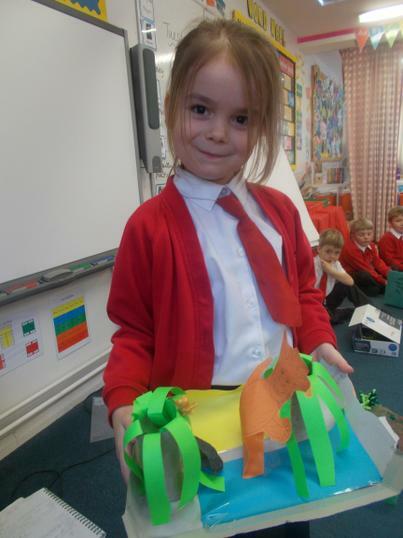 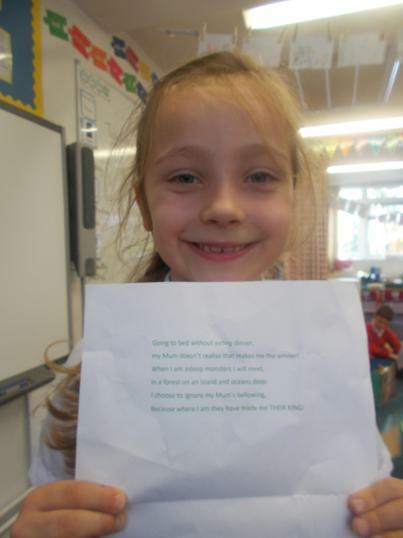 We have done lots of work about the text and wrote super versions of the story ourselves. 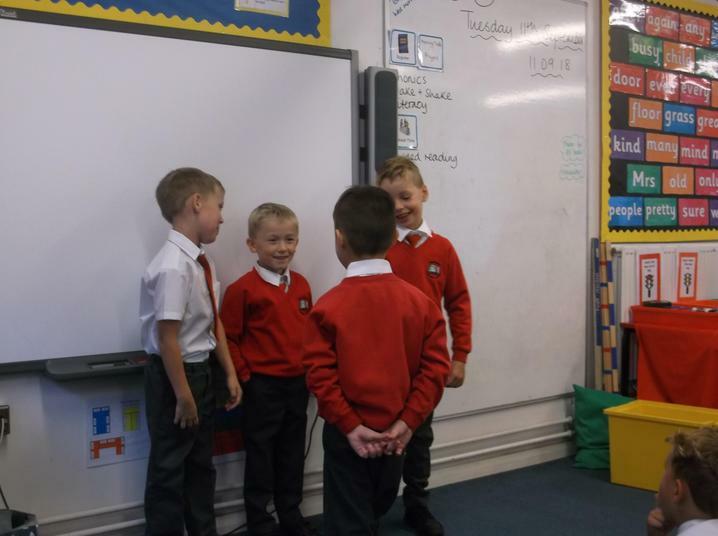 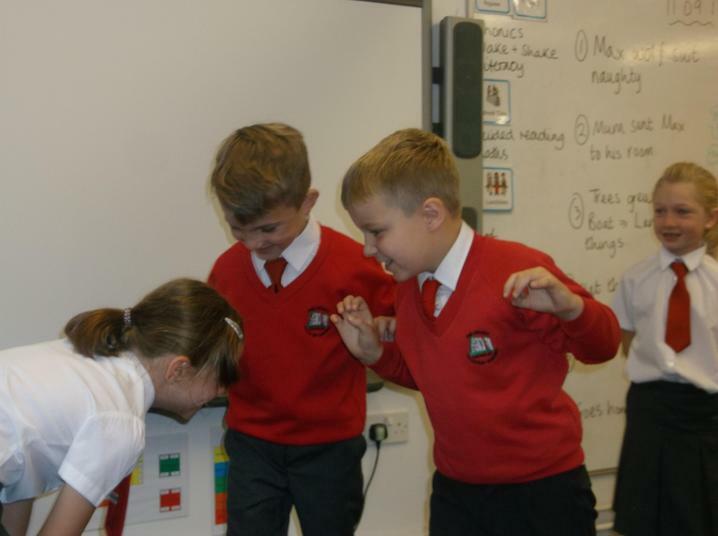 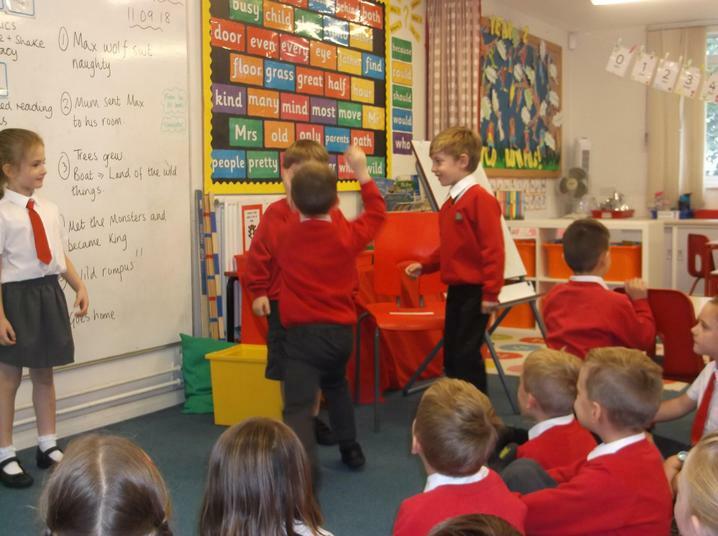 In the following pictures we were enacting the story and trying really hard to use actual words from the text as well as effective body language and voices to reflect the feelings of the different characters - very entertaining! 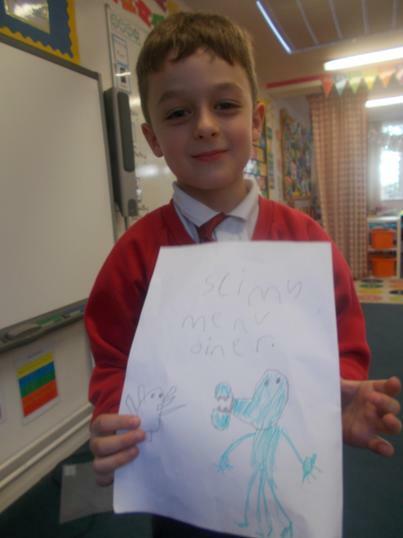 We worked in small groups to order the events in the story. 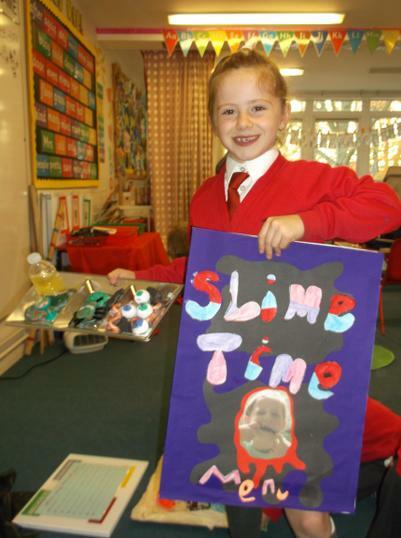 In art this half term, we have been studying the work of Giuseppe Archimboldo and producing portraits in his style. 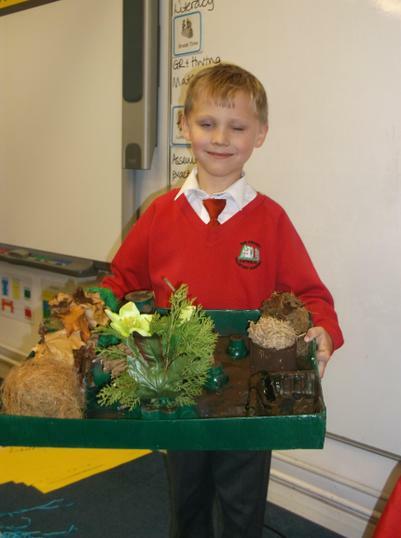 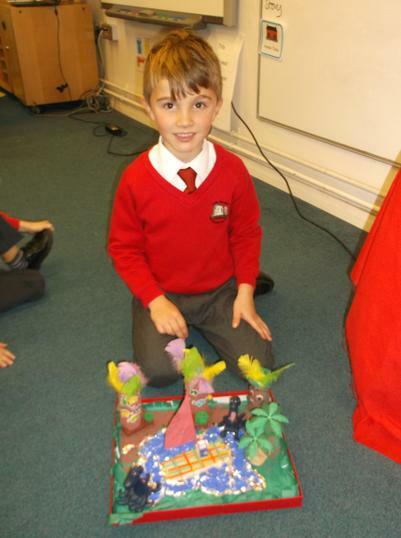 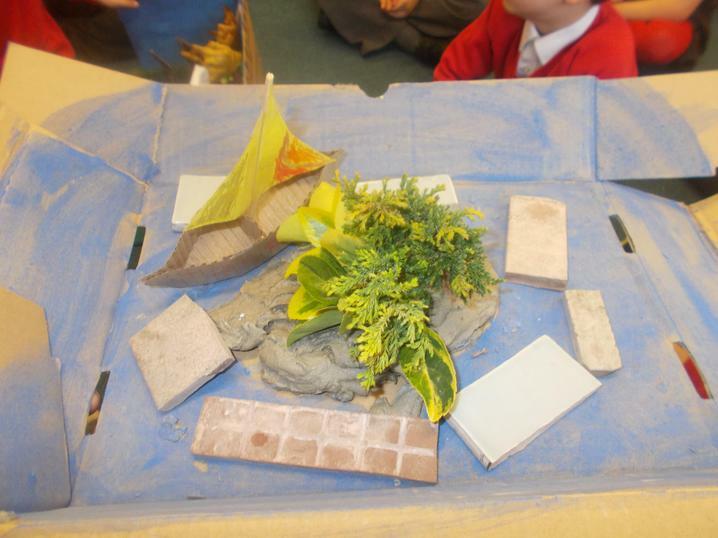 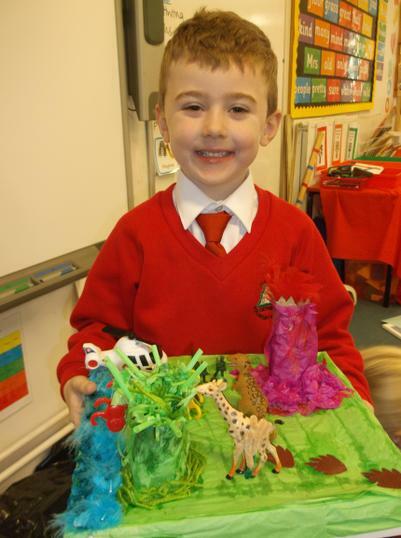 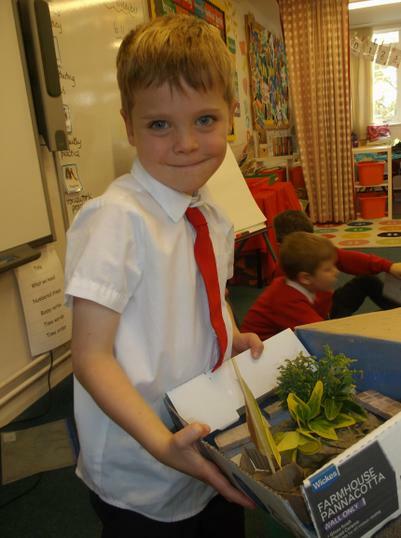 We have used paint, pencil, collage and natural materials to create sculptures. 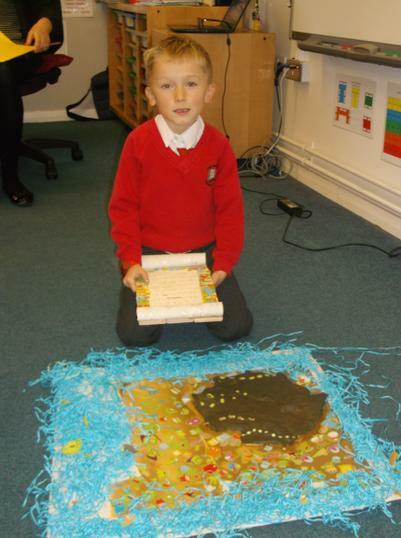 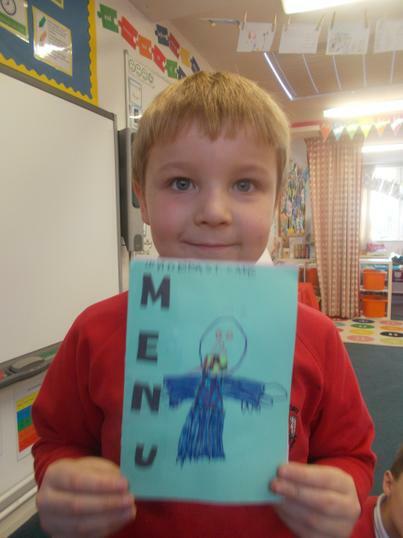 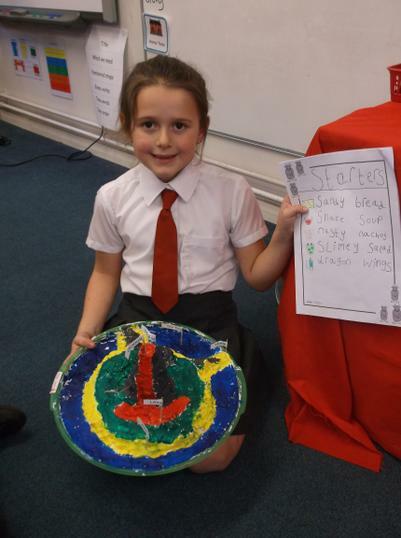 Check out the photographs below to see our masterpieces! 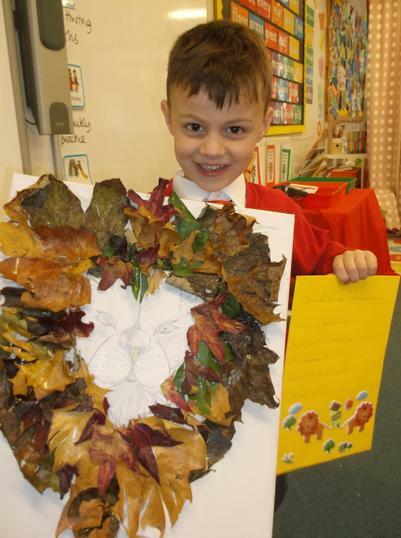 Using natural materials like Archimboldo did in his Autumn Portraits. 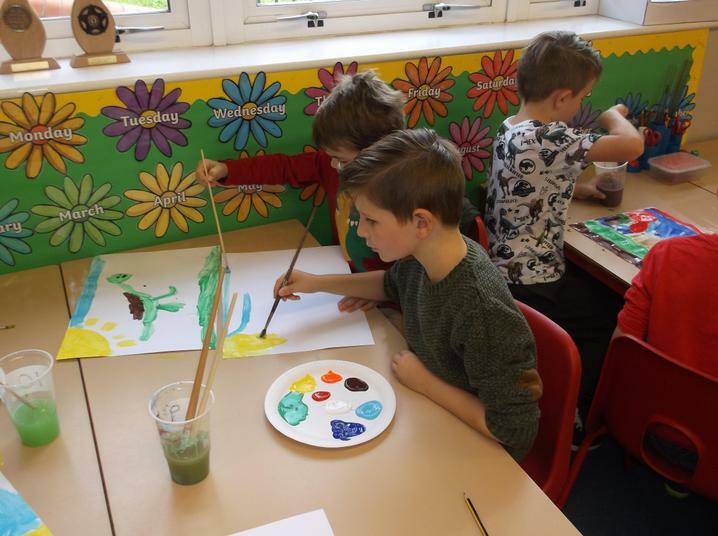 After studying where our facial features sit on our faces, we practised drawing pencil portraits of ourselves and then painted our own portraits. 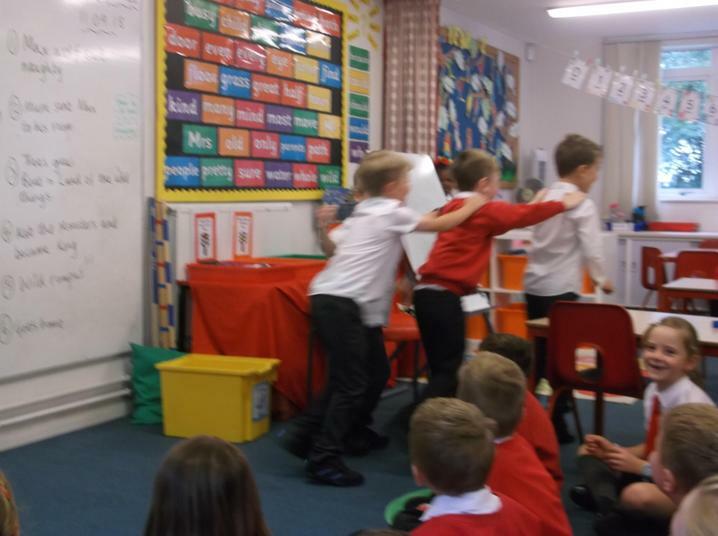 Addition and subtraction the Maths makes Sense way! 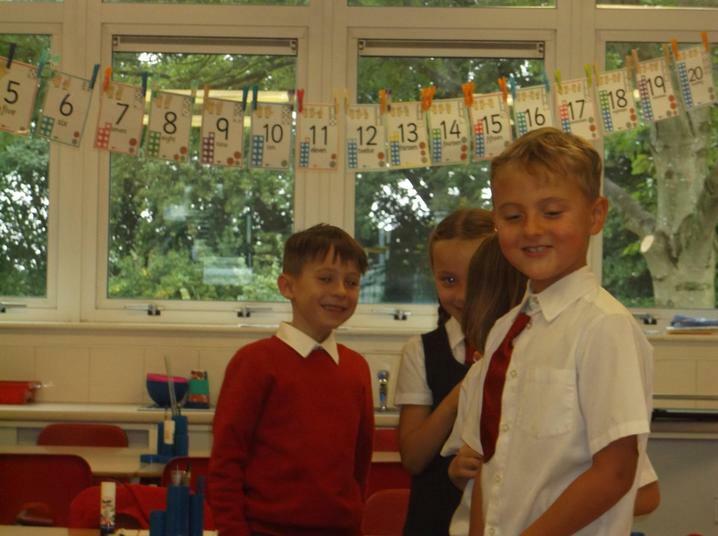 This week we have been using the Maths Makes Sense cups to add and subtract whole numbers and halves. 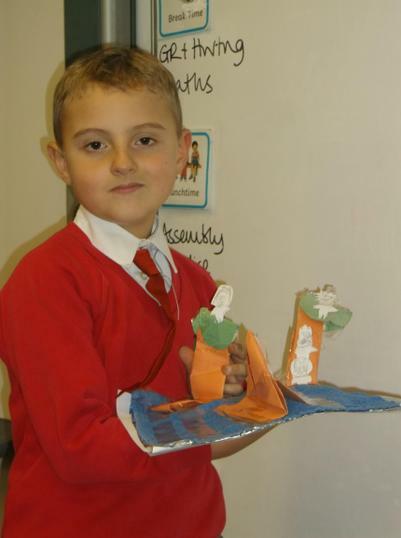 We used our imaginary glue to stick together two halves to make a whole cups. 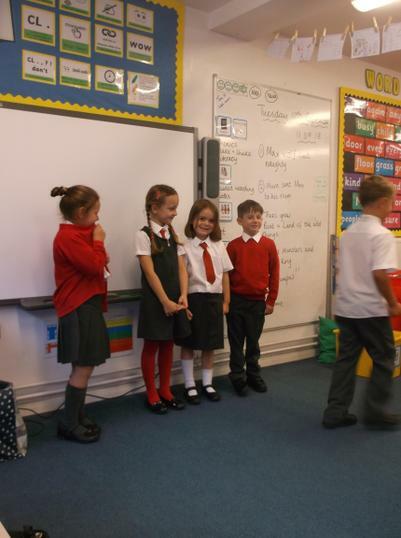 We also practised same value swaps. 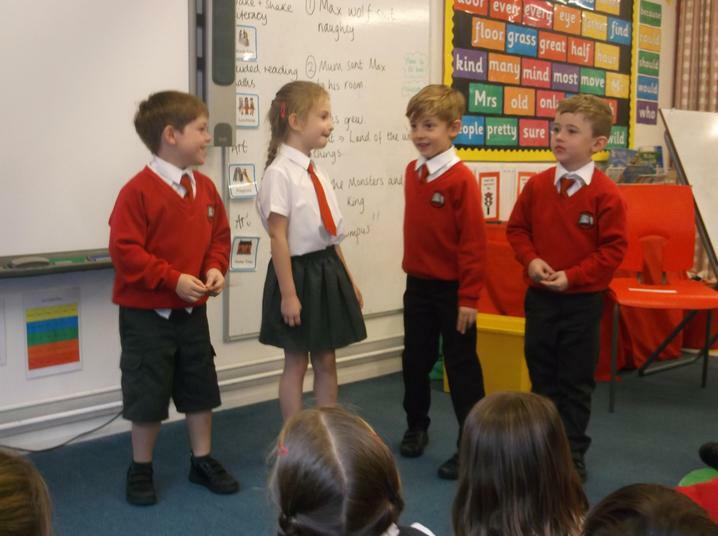 We worked with our partners to solve addition and subtraction maths stories.